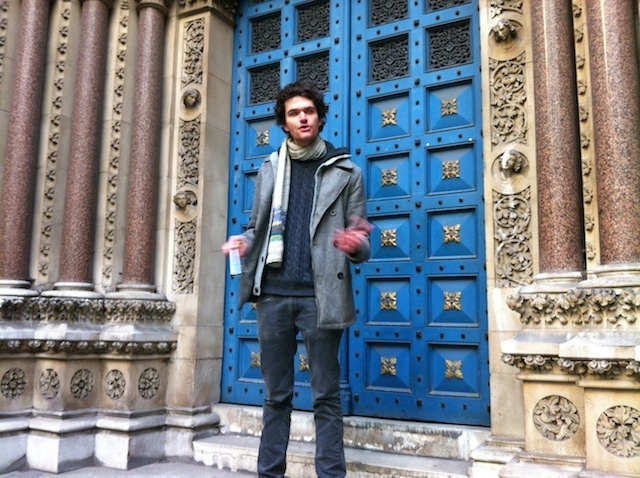 Host Matthew Green in front of St Michael's Cornhill. The debut group, with around 40 people. 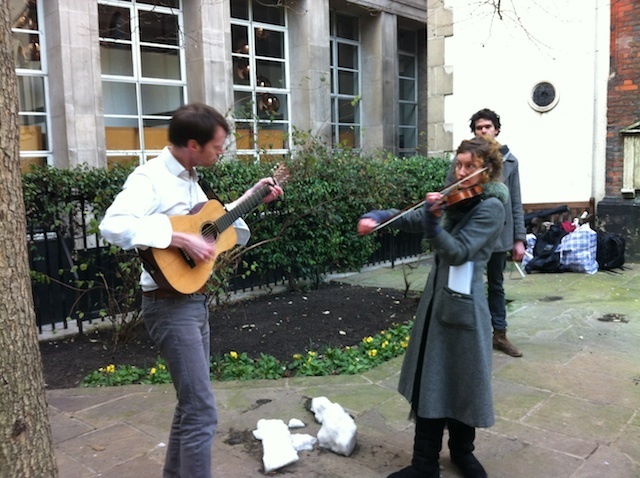 A musical interlude in a City churchyard. Oh no, it's that Pasqua bloke again. They'll never amount to much. Pasqua betrays his emotions on encountering a modern coffee house. 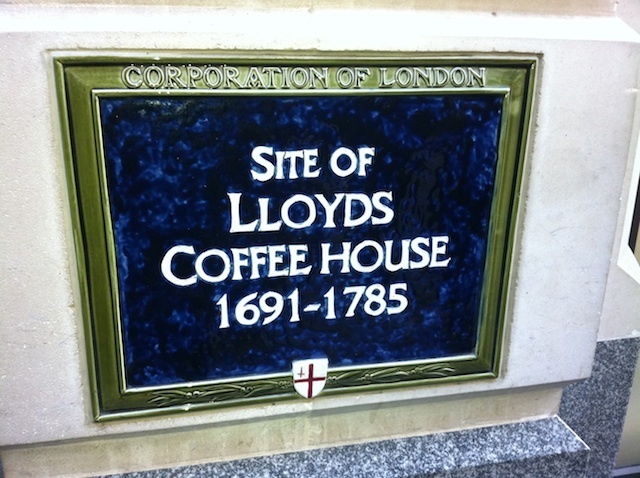 A new guided tour brings to life the remarkable history of coffee houses in London. Part historical guide, part promenade theatre, part musical performance, part coffee-tasting session, the Unreal City tour takes in the alleys of the City, encountering some unusual characters along the way. Host Matthew Green is both learned and genial, and must have sank hundreds of caffeinated stimulants while researching his subject. The stories trip off his tongue, as he describes the importance of the 18th Century coffee shop for trade negotiations, stock selling and general gossip-mongering. He contrasts these fuggy hives of frenzied discussion with the sterile interiors of the modern coffee chains. Ducking down one of the many alleyways in the area, we are immediately confronted by the terra-cotta charms of the Jamaica Wine House, site of London's first coffee house, founded in 1652. Our guide fills in the historical details, sketching the character of its Sicilian proprietor Pasqua Rosée. 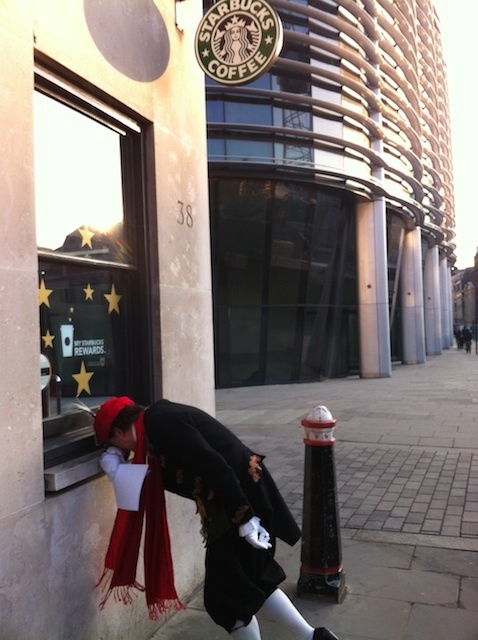 Then, like the magic shopkeeper from Mr Benn, the flamboyant Pasqua appears, bearing Turkish coffee. The gritty beverage is bitter, and to our tastes unpleasant, but a faithful recreation of the 17th Century drink. The tour continues. We weave through the alleys of Cornhill, St Paul's, Fleet Street and Temple, with occasional violin accompaniment and the ever-constant prospect of another interlude from the impassioned Pasqua, a portrayal so endearingly hammy you'll want to smother him in mustard. But the balance between entertainment and information is perfect. The tours are off to a good start and the next date (25 February) is almost sold out. Morning and afternoon tours will also take place on 24 March, and there's an Easter chocolate-themed walk lined up for 7 April. 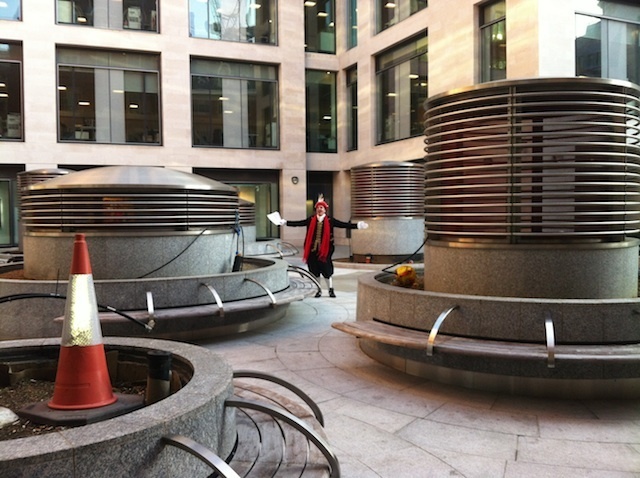 Tours last approximately an hour and a half and cost £12 (coffee) or £15 (chocolate). An audio tour is forthcoming. Stimulating stuff. And here's a flavour. 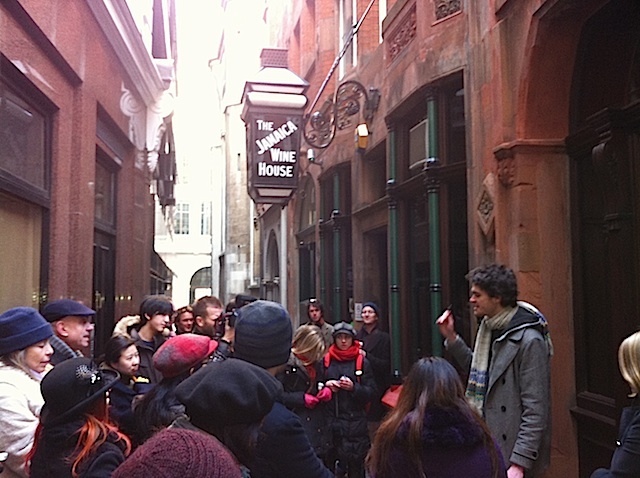 More alternative tours of London here.